HONG KONG – Asia’s dealmakers say a Chinese resource spending spree will accelerate throughout the next 12 months, with Canadian mining and energy companies likely on the shopping list. Chinese buyers have already scooped up US$70-billion worth of global resource assets so far this year, as Beijing looks to secure its energy and resource future by spending some of its US$2-trillion in foreign exchange reserves. The overseas buying trend will pick up steam in the months ahead, according to China and Hong Kong-based corporate dealmakers, investment bankers and private equity players surveyed by Royal Bank of Scotland and Mergermarket. The report comes as expectations soar Beijing will deliver another stimulus package on Wednesday to add to the 4-trilion yuan (US$586-billion) in spending announced late last year. Further stimulus measures will be announced at the National People’s Congress – the climax of the country’s political calendar that features 3,000 delegates from across the country – according to government officials quoted in Chinese state media. Reuters reported, citing an unidentified official at the country’s top economic planning agency, that China will spend more on infrastructure and to boost manufacturing in addition to the stimulus package announced in November. Details of Beijing’s previously announced spending plans are still sketchy although much of it is directed toward resource-intensive infrastructure projects in the transport and energy sectors. With the backing of Beijing, cash-rich Chinese investors have spent the past several weeks working on a spate of overseas resource deals. Buoyed by a relatively strong yuan exchange rate, Chinese buyers have taken advantage of depressed commodity prices to pursue overseas assets with vigour. The deals announced so far include a US$19.5-billion bid by state-owned metals company Aluminium Corp of China for a 18% stake in Australia’s Rio Tinto Group, a U$25-billion loan to Russian oil company Rosneft, and a US$10-billion loan to Petrobras of Brazil. Chinese investors have also agreed to plough billions more into Australian and Mongolian iron ore mining companies, gas and pipeline deals in Turkmenistan, and Kazhakstan’s copper and lead mining industry. 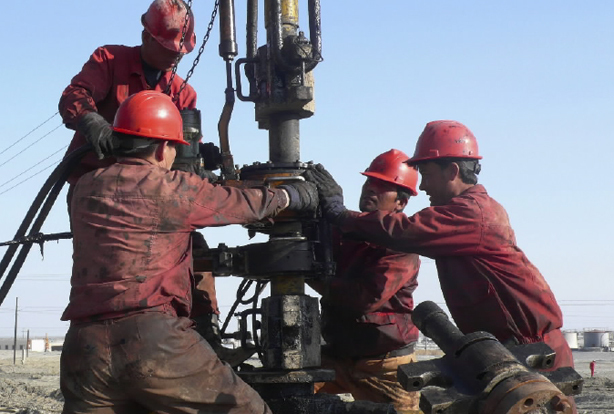 Late last month China National Petroleum Corp launched a friendly $443-million offer for Calgary-based Verenex Energy Inc. to give the state-owned oil company a stake in a promising Libyan oil concession. The buying spree will pick up pace this year and reach into more countries, including Canada, said Richard Griffiths, a managing director with Royal Bank of Scotland’s M&A team in Hong Kong.”There is a longer term highly positive trend supporting outbound China M&A in that China has the cash, needs to gain more reliable access to resources and diversify its economy,” Mr. Griffiths said. So far, a large portion of China’s spending has been direct toward Australia, whose government has shown “an open attitude” to Chinese investment, said the RBS banker. But, as the number of available Australian targets shrinks, “low valuations elsewhere will likely move the focus to North America, particularly resource-rich Canada,” he added. Almost 40% of the dealmakers surveyed by RBS said the Chinese will target North American assets this year. Deals valued at under US$500-million will likely make up the bulk of China’s overseas investments, the survey respondents said. Canadian resource companies that have taken on very high debt at the peak of the market and which now are struggling are candidates to receive funds from China, said Ken Courtis, an Asia-based investment banker and analyst. “The recent spate of resource deals is a way for China to diversify very quietly some of its foreign exchange reserves,” he added.